Last year, Virgin Media in the U.K. introduced an ad character who's literally a night owl, staying up late to binge-watch show after show on Netflix. 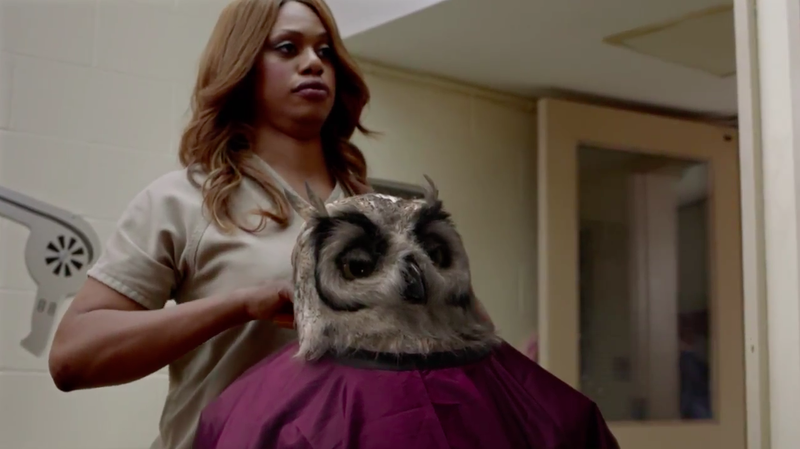 Now, that owl—who goes by the name Ally McNab—is one step closer to her anti-heroes on Orange Is the New Black. The spot actually combines new and existing footage. It's an interesting bit of film, considering all the players involved. "It's a piece of content involving an entertainment property, a subscription streaming service and a broadband provider," says Jeremy Ettinghausen, innovation director at BBH and BBH Labs. "It stars characters from a TV show interacting with characters from an advertising campaign, in an advertising campaign for a TV show, a broadband provider and a subscription entertainment service. Is this a new content type? We don't know. Is it interesting? We think so, maybe simply because we can't put it in a box." The campaign is running online, on social media, in retail, and on video on demand. The third season of Orange Is the New Black hits Netflix on Friday.